I was going snowblind from staring at the blank Microsoft Word file, struggling for a clever way to begin this column. Wit was successfully eluding me so I took a step back to evaluate the problem. It didn’t take a rocket scientist to figure out what I was doing wrong. The only goal of this piece is to summarize my own conflicting thoughts on the original Dark Shadows movie, House of Dark Shadows. But, truthfully, I don’t know how I really feel about that movie. And expression becomes a lot more complicated when you don’t know what you’re talking about. I’ve have both loved and hated House of Dark Shadows since I first caught it on television back in the early 1980s. 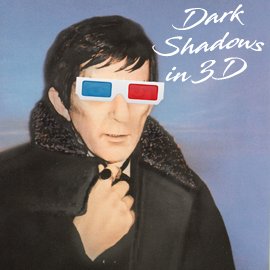 Until the Sci-Fi Channel began airing the television show in the 1990s, the 1970 feature film was the most accessible path to Dark Shadows. 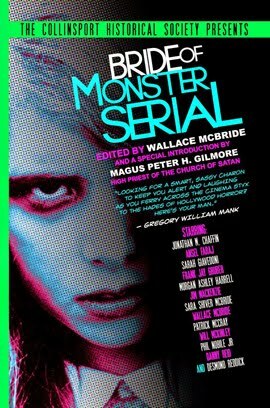 It’s difficult to make a commitment to a 1,225-episode serial scattered over hundreds of video cassettes, but a two-hour film is easily digestible. And there’s a lot to like about House of Dark Shadows. 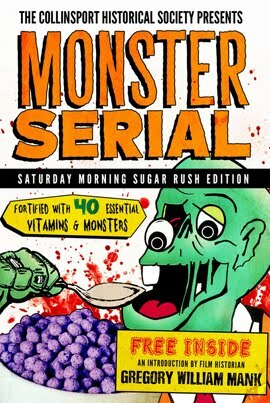 It merges realism with the atmosphere of a Universal monster movie. It has a funky grindhouse vibe but doesn’t feel sleazy, and contains some good (maybe even classic) scares. 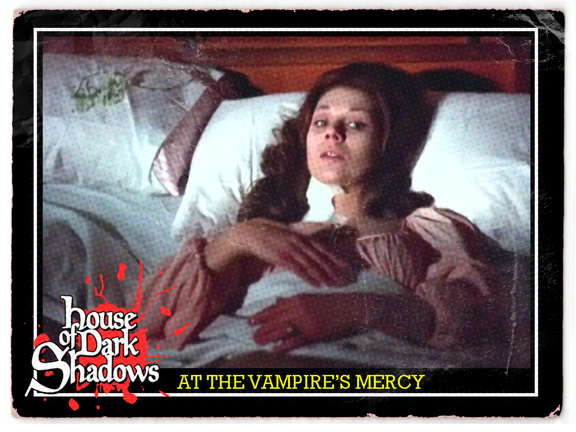 House of Dark Shadows also features some of the most violent vampire attacks ever put on film, swapping the usually neat wounds for something that looks like the work of an animal. It might even be one of the first films to compare vampirism to disease, turning into a "plague movie" during the final reel. But the movie also has a handful of serious flaws. 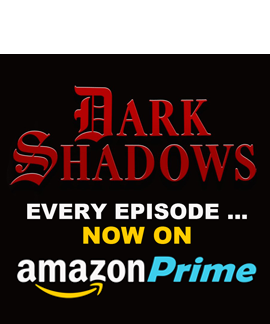 Director Dan Curtis rightfully decided to make a movie that stood on its own, and House of Dark Shadows is so fanatically dedicated to the concept of winning new viewers that it’s willing to bump off characters still active on the television show. I think that’s actually pretty cool and makes for the kind of spontaneous viewing experience you don’t get in movies very often. But, if you’re unfamiliar with the television show, you might find yourself asking “Who the hell are these people?” The Collins family is introduced using a kind of shorthand that will baffle casual viewers, and some of the supporting cast (such as Dr. Hoffman and Prof. Stokes) is just hanging around Collinwood for no real reason. The movie also has some pacing problems. Too much happens too quickly during the first act and this freneticism tests the movie’s plausibility before we have a chance to invest in it. A search of the grounds for a missing child leads to the dismissal of Collinwood’s groundskeeper, who immediately goes off hunting for buried treasurer (which we only learned about moments beforehand) and frees a vampire from his coffin. All of that happens during the first few minutes of House of Dark Shadows. I don’t need a horror film to have fully realized characters. 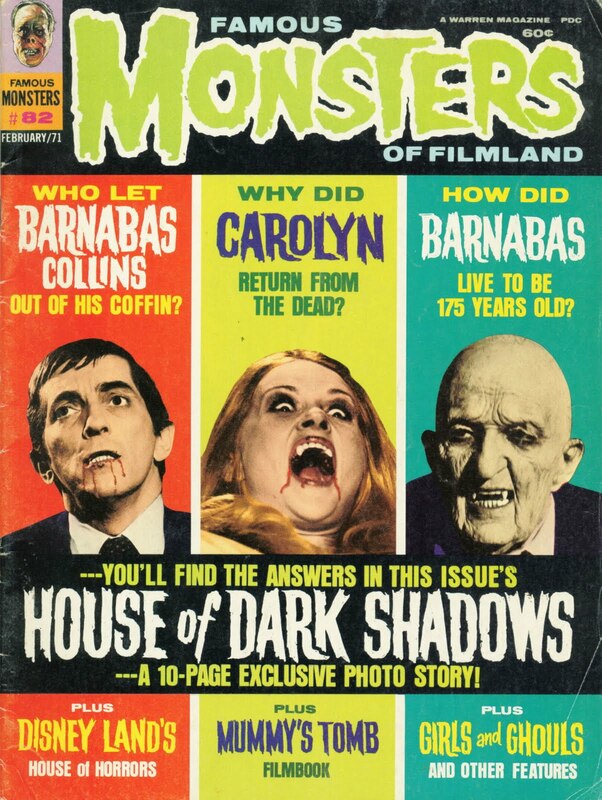 Alien, The Texas Chainsaw Massacre and even The Exorcist make do with minimalist characters, but House of Dark Shadows makes one mistake that I can’t completely forgive: it paves over all the small details that made Barnabas Collins interesting. 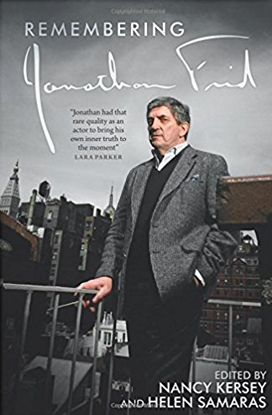 Jonathan Frid helped create something very special on Dark Shadows when the idea of a “sympathetic vampire” was introduced. 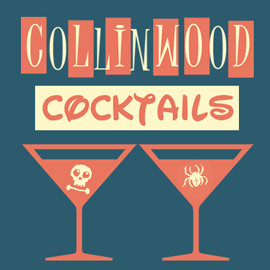 While he was a one-dimensional badguy during the show’s first arc, the writers were forced to find some kind of depth and resonance to the character when it was decided to make him a permanent resident of Collinwood. 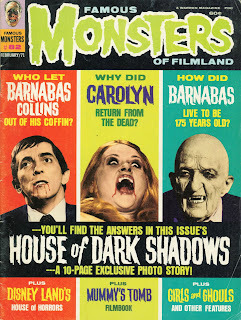 Prior to Dark Shadows, vampires were purely predatory, but Barnabas Collins was as much a victim as villain. He’s the grandfather of characters like Lestat, Angel, Blade and … ugh … Edward. All of this nuance was tossed out for House of Dark Shadows, which reduces Barnabas Collins to a run-of-the-mill movie monster. When he made the jump to the big screen the writers forgot all of his tragic qualities, which is why a lot of critics have to come to think of the movie as a fairly routine “hearse opera.” I don’t think this analysis is entirely fair, but it might not be possible to evaluate the movie without considering its (often superior) source material. But at what point does that baggage become a nuisance? This is where things get complicated, maybe even contradictory, because I have zero resistance to any changes Tim Burton might make in service to his Dark Shadows film. The worst we can probably expect at this point is something along the lines of the first Addams Family movie, which I don’t hate. Burton and Johnny Depp could turn Barnabas Collins into a French-speaking cybernetic ninja and, if it works within the context of the movie, I’m OK with that. I prefer joyous experimentation over slavish devotion to source material. Which makes my issues with House of Dark Shadows deviations from the television series a little confusing, even for me. There’s one other factor that makes me (sometimes) like House of Dark Shadows less than I should: the 1991 revival television series. 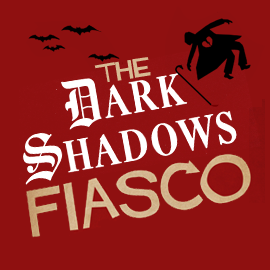 When Dan Curtis decided to re-brand Dark Shadows as an evening drama he used House of Dark Shadows as its model. The second TV show got a lot right, but none of those things include the word “Barnabas.” Kudos for hiring an actual Englishman to play the Collins “cousin from England,” but Ben Cross looked more like a candidate for local government than the lead in a gothic romance. He didn’t get much help from the first few scripts, either, which were mostly interested in using Barnabas as a one-note monster. 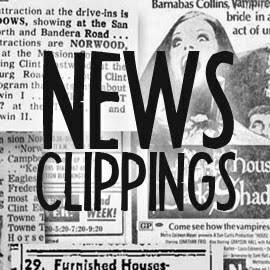 The program found its footing only after exhausting material from House of Dark Shadows and turning to the original TV show’s 1795 story. I admit that this attitude is convoluted, maybe even hypercritical. I think the reason I’m not that concerned with Burton making changes to Dark Shadows is that the alternative seems to be returning to the House of Dark Shadows well. And I’ve got no interest in seeing that particular story played out a third time. Here we are now, Mr. Burton. Entertain us. 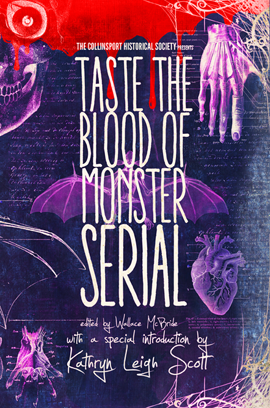 If you're confused by the above sentiments, let me summarize: I love House of Dark Shadows, except when I hate it, and even then I don't really hate it. I take no responsibility for any tumors that might result from trying to make sense of this post. I agree with you about House of Dark Shadows. I love it and I hate it. I can't believe the rating they managed to sneak past the association! 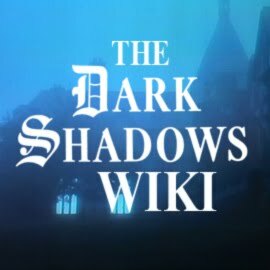 Some critics have pointed to the excessive gore as helping to run Dark Shadows off of the air (even though it was on it's way out) after parents sat through that movie and thought, "Is THIS what my child is sitting through day after day??" The movie is good but the characters are thin. Dan Curtis assumed the audience would know every character and the roles they played at Collinwood. And he removed all traces of the very first NEW characterization of a vampire (invented by Jonathan Frid), and reverted to the Hammer Films vampire (and all those who had come before). 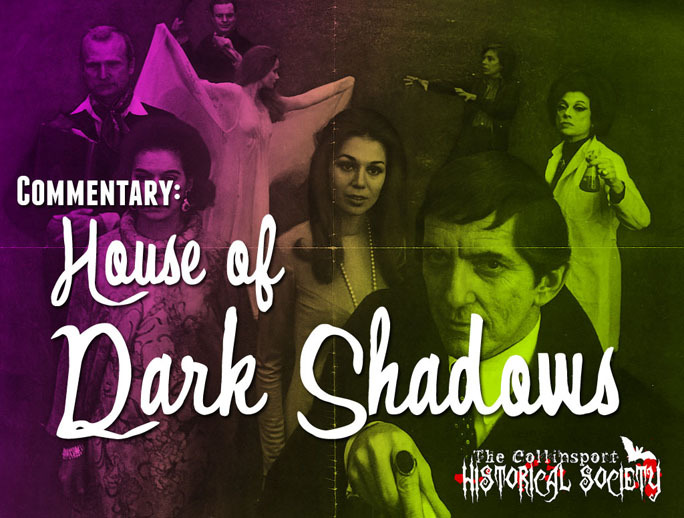 Now when I watch HODS I enjoy it; it is NOT Dark Shadows that I fell in love with on TV. It is a typical violent bloody vampire movie. (I enjoy it even more after having read several of Kathryn's (Kathryn Leigh Scott) books and her comments about actually dozing on the set while lying on the velvet coffin top; she said she couldn't nap the morning they filmed the deaths of Willie and Barnabas because of all the screaming and blood gushing everywhere. She had to remind herself to keep her eyes shut too! 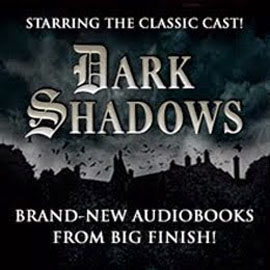 So, armed with my knowledge of Dark Shadows and its' characters and complexities, the insider comments (especially from Kathryn), I can now settle down to watch HODS with a big bowl of popcorn and an ice cold Coke (in the little glass bottle) and not come away disappointed or frightened. HODS is what it is; I say the Depp/Burton version will be an exciting new chapter to add to the DS phenomenon and whatever Burton does to streamline the story and any sly humor he injects is more than welcome. really shine and show us that just a little more time...and a couple of re-takes, can really work wonders. Dan Curtis does a masterly job in his first, theatrical Director-role and he turns what could have been amusing, into something close to frightening. 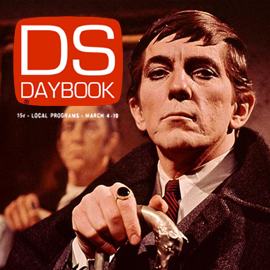 The real locations, excellent photography and enhanced music from the TV series, using the same cast, make it the ultimate "Dark Shadows" experience. Once it completed it's initial, successful run (it tripled it's investment in the US alone), it was back to the sets and video-taping that were as good as daytime TV had seen, but still fell-short of actual location shooting. I found myself missing the movie and rarely missed any screenings until I finally got a VCR 10 years later and taped it from TBS's showing. 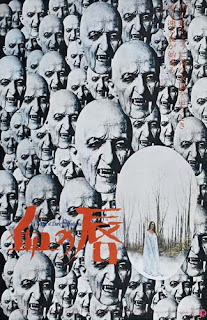 The wonderfully sadistic thing about the film is that it is the ONLY Horror Film, to have such a loving audience. We grew to really care for these characters over a period of 5 years. 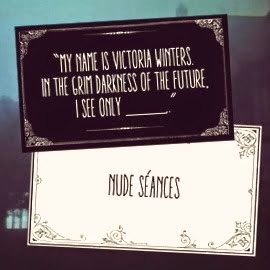 To have them brutally murdered and then rising immediately as vampires, was truly, deeply disturbing...or maybe I should just say "frightening". And Barnabas IS sensitive, romantic and yearning, Curtis was just smart-enough to not dwell on it and make the audience feel that he was "sappy". No, this Barnabas just returns from Julia's betrayal in a VERY bad move and decides to just TAKE Maggie...enough is enough, you know? I think that most men can relate to that. Damn, I love this movie! I first saw HoDS after seeing the series all the way through, so I'm sure that colors my view. I had gotten used to seeing the same actors play similar-but-different characters in similar-but-different stories, so it wasn't as jarring to me as it might have been otherwise.